go to the bathroom, three more of them have to go. So, we make a journey to the bathroom as a class and totally lose our momentum in the classroom. So, today, I am bringing you a way to continue learning even when your class is at the bathroom. I always try to keep my class really quiet at the bathroom because other classes are learning but that can be hard when the bathroom break takes a while. Some of those kiddos who don’t need to go are just standing around and getting in trouble because they are bored. So we play Bathroom Break tag. While my kiddos are waiting in line to go back to the room, I pick a student to start the game. I decide on a topic with something that we have been learning about or need reviewing. For example, if we are learning about nouns, I have the student say a noun to start the game. The other students raise their hands and say a different noun. If the student is correct, they get to go next. To make this game a little more challenging, I have my students tag their words together. If the first student says the word, “Owl,” then the next student has to say a noun that begins with the last letter of that word so their noun would start with an l.
I found this helps them really listen to each other and not just have a noun in their head and keep raising their hands to say the same word. I’ve come up with a list of things you can practice during your class bathroom breaks. Not all of them will work with the challenge extension. 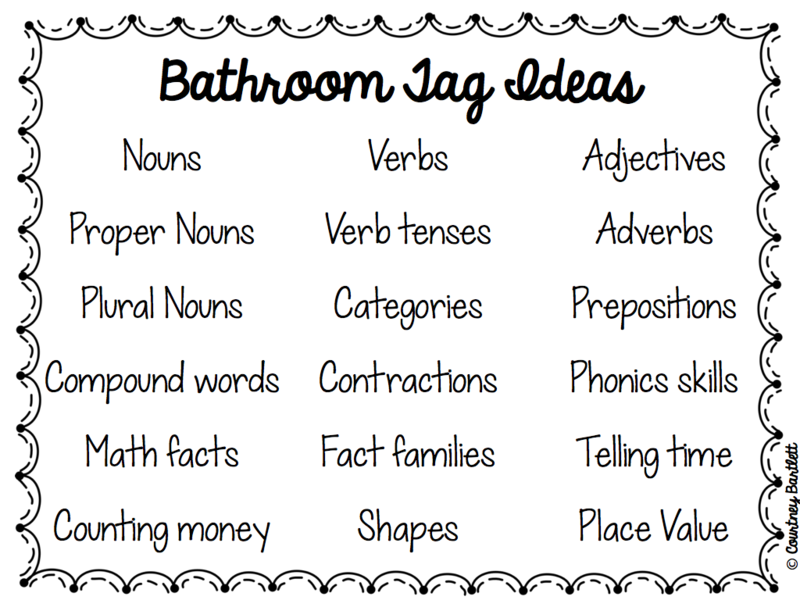 The bathroom tag idea is a little different for math. The math games are a little more teacher directed. To review math concepts, sometimes I take flash cards to the bathroom and we play the same way. For telling time, I might take a practice clock and have them tell the time. If you have an iPad in your classroom, you can pass the iPad around and have them answer math facts in an app. I’ve come up with a list of topics that you can practice during your bathroom breaks. You can click on the image below to download this page. 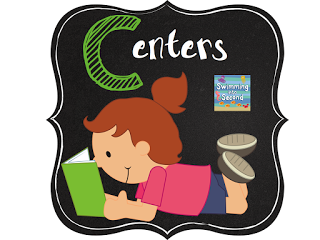 Follow along in the alphabet and check out my new post on Centers. Great idea! I now have bathrooms in my room since I moved to a "learning cottage", but I can still use this concept when we travel into the main school for special areas! I love this and it's completely adaptable for my first graders. I love this idea. I can totally see using it. 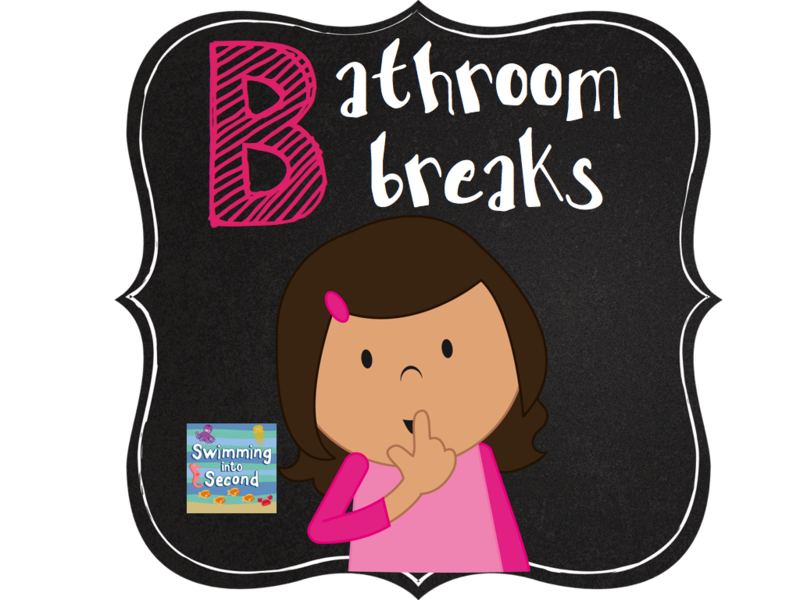 We are a little different have scheduled bathroom breaks two times as day as a grade level (6 classes). My challenge with the bathroom break is that there are so many kids they want to play in the bathroom and don't get back to the line. The nature of the school, I can't send just a couple kids at a time. How do instill urgency in your kids to go and come right back out? Would this help with that too or do you have other ideas? I will definitely be using this. Thanks. Love this idea! Great way to keep them quiet and also still be learning! Thanks for sharing!